“He died so that thousands of others could be saved,” they said. As hundreds of patients arrived daily at Nicaragua’s area hospitals, what had begun with the death of one teenage boy in the small rural community of El Ojoche was quickly becoming a regional crisis. Public health officials already worn ragged by the massive recovery efforts in the North Atlantic Autonomous Region made necessary by Hurricane Felix in September found themselves frantically trying to manage yet another disaster. The persistent rainfall that flooded the Pacific region following the hurricane had created ideal conditions for many kinds of bacteria found in animal droppings to spread throughout the soil, including the potentially deadly leptospirosis, which took only two weeks to kill 10 people and affect more than 3,790 others. Following several visits to local hospitals by FH staff and community leaders, a flurry of conference calls and coordination with the Ministry of Health, medicine was secured for the affected individuals, many of whom traveled long distances from their families to receive medical attention. In El Ojoche, 39 people as well as a majority of the farm animals were diagnosed with leptospirosis, and with the added crisis of losing their year’s harvest in an unexpected tornado that week, the community’s suffering became even more acute. “It’s like we’re reliving the seven plagues,” one woman commented shortly afterwards. In addition to the much-needed medicine for the hospitals, Food for the Hungry provided food for the 85 families of El Ojoche, and Oxitertraciclina to treat cows, horses, and pigs affected by leptospirosis in the community. With the support of FH/Nicaragua Agricultural Advisor Mike Saeli and his wife, Maria, a trained nurse, and Teams Coordinator Andrea Kamouyerou, the local CHE (Community Health Evangelism) committee in El Ojoche met and organized a community wide animal treatment campaign. By going house to house, the committee was able to treat more than 142 animals (horses, cows, and some pigs) within 24 hours with the antibiotic; with future funds, injections will be given to the remainder of the pigs as well. Public health officials who visited the community shortly following the outbreak praised the community’s cleanliness and leadership, noting that the disease might have spread much more rapidly in a less well organized community. Food for the Hungry has been supporting the CHE strategy in El Ojoche for the last 5 years, during which child mortality rates and incidence of diarrhea and parasites in children had dropped substantially. Community leaders continue to look for alternative food sources and income to address the shortfall that will exist until the next planting season in May 2008. Some potential projects leaders have proposed include involvement in a family garden program, installing dams along the creek that runs through the community for water storage and irrigation, and receiving training in agricultural diversification in order to ensure food security throughout the year. By choosing determination over despair, and using their creativity to bring order from chaos, these CHE leaders vividly illustrate how the greatest resource in any community is its people. People who are bearers of Christ’s hope for their neighbors, and the nation. Even after the rain has stopped pouring down on the town of El Ojoche, community members will be experiencing the aftermath for quite some time. The affects will be noticed through loss of crops and sickness in humans as well as animals. On 21 October the community noticed it’s first cases of Leptospirosis. The breakout peaked on 27 Oct. with 194 patients requiring treatment. Not only is the bacteria affecting humans, it’s also affecting most of the animals in the community. Food for the Hungry has been working closely with community health leaders, a veterinary tech as well as the Ministry of Agriculture and Forestry to educate people on how to take care of themselves as well as their animals.All of the cows and horses are receiving medication. 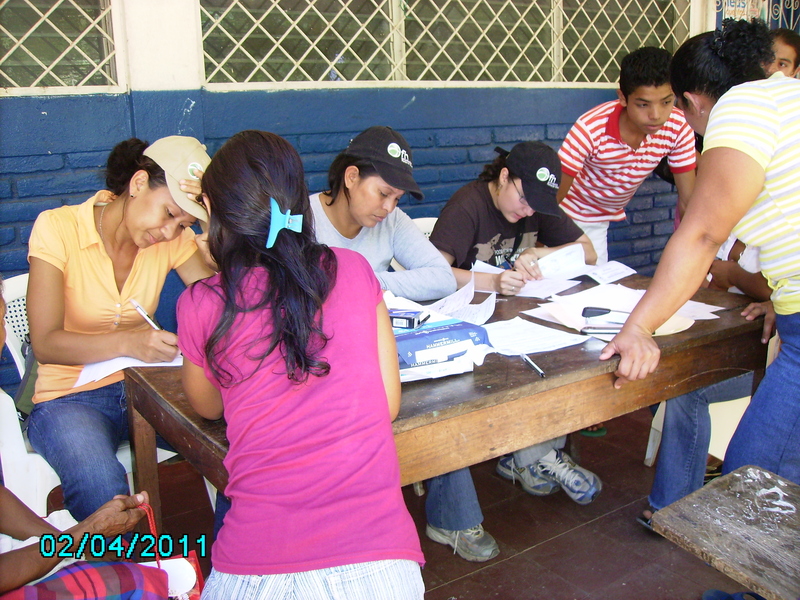 As a result of the loss of crops, community trainings covered topics pertaining to food and nutrition and some new options for food since they will need to adjust their diet. The crop was due to be harvested in Jan. Many families will have to wait until next May for their next harvest. Trainings were also provided on how to administer medication to animals. Over 160 cows were given injections as well as horses. The Food for the Hungry staff have been working very hard to educate, encourage, and walk with community members during this difficult time. Please continue to pray for the families affected by the heavy rains causing loss of crops, sickness, and discouragement. Hurricane Felix with its category 5 fury touched down in Nicaragua September 4, 2007 in the North Atlantic Autonomous Region. The town of Puerto Cabezas as well as several provincial towns and hundred of rural communities were subjected to winds that reached over 250 kph and 15 – 30 cm of rain. 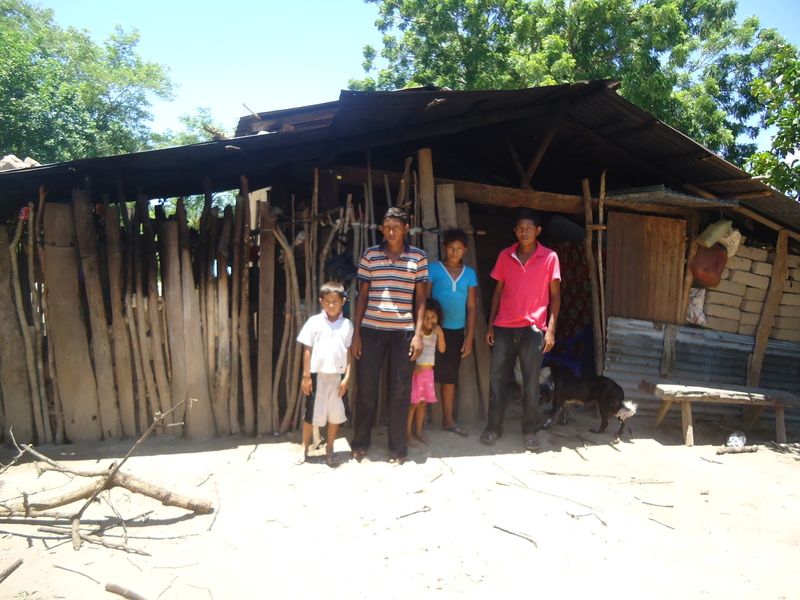 Food for the Hungry Nicaragua in collaboration with CRWRC and Accion Medica Cristiana (AMC) has identified two communities 10 km outside of Puerto Cabezas where they will focus an immediate response. They also plan to respond to rural communities in the Rio Rico area but access to these areas continues to be difficult. In these two communities populations livelihood is low input agriculture. The Hurricane coincided with the rice harvest that was due to produce crop in a month. The initial response will include food assistance, water and sanitation and roof repair. AMC has staff on the ground conducting ongoing assessments which will direct our future work. Acción Médica Cristiana is currently in the process of visiting the communities along the Rio Coco where they work to better understand the damage wrought by the hurricane. The area has experienced heavy rains and flooding. So far they have identified a need for water filters so that people have access to clean drinking water. This area is only accessible by plane; commercial airlines are not being allowed to fly into the hurricane-affected area, so we are exploring ways of getting supplies in there.